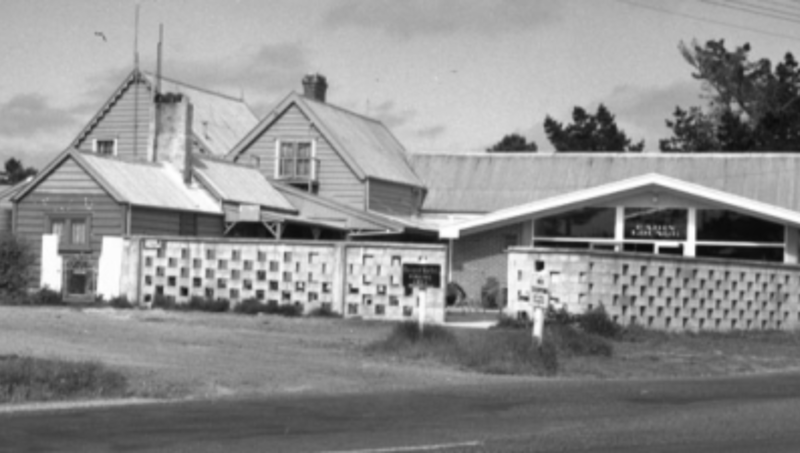 Constructed by the Deacon family, the Huapai Tavern was originally called the Kumeu Hotel, but by 1883 it had become known as The White Horse Hotel. It later became the Huapai Hotel and finally the Huapai Tavern. During the 1890s, the tavern was a gathering place for gumdiggers working in the local area. After the back-breaking and often cold, wet days on the gum field, alcohol warned the diggers’ bodies and loosened their mood. Drinking together helped to establish a sense of intimacy and friendship and was an important part of social relations on the gum field. Orchard life in Huapai in 1915 was promoted as ‘a beautiful art as well as most profitable industry’. Those ‘becoming tired of the strenuous life so prevalent in all cities’ were enticed to move to the country to ‘live the only real natural life amidst green fields and leafy trees’. From 1921, the major event of the summer in the local area was the Kumeu Show. At a time when most residents did not have motor vehicles and were still using horse and cart, the sight of so many cars on their way to Muriwai was an event in itself. 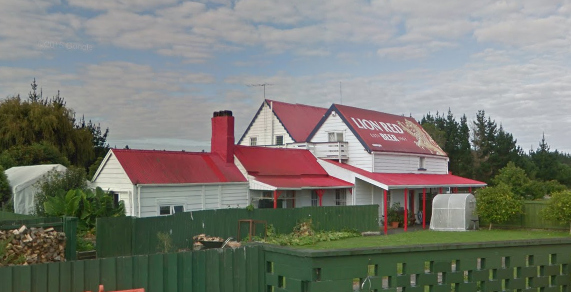 Decked with flags for the occasion, the Huapai Hotel, the only pub and hotel between Henderson and Helensville, benefited from the racing activity and was a natural refreshment stop. By the 1930s, Kumeu and Huapai could still barely be described as villages. Scattered around the miles of road between St Chad’s church in the north and the Catholic Church to the south, were Harrison’s and Malin’s stores, two post offices, two railway stations, the Huapai Hotel, the Kumeu Hall, Gould’s Bakery, Hollinger’s Blacksmith and the sale yard. The Kumeu and Taupaki Halls were the focal points of their communities. Also in the 1930s, then publican of the Huapai Hotel Alexander Burr, endeavoured to offer a more convenient alternative to the infrequent train service in the area. He bought a nine-seater service car and began to run a passenger service from Huapai to Auckland. Passengers could book their trip by phone the day before and receive a door-to-door service. Idiosyncratic by nature, trips with Burr were often unpredictable. On one occasion, one of the passengers asked him not to drive so fast, and he agreed on condition that one of the women passengers sang to him – if she stopped singing he immediately sped up again. After the war, some commercial development of central Huapai and Kumeu started. The plant of Hodge’s Woodhill sawmill was purchased and the Huapai mill started business in December December 1948. One of the driving forces behind the commercialisation of Kumeu in the 1950s was Wally Reber’s rapidly expanding transport business. Wally carried just about anything via his daily freight service to Auckland. Fruit, bobby calves, chicken feed, bagged manure and lime were carted to and from farms according to the season. By the 1960s, the growing number of companies then present in the area made Kumeu-Huapai a job centre in its own right. People travelled to the centre to work at the factories, offices, vineyards and orchards. By the 1970s, the commercial expansion of Kumeu and Huapai had the result of integrating the two villages into one. Residential areas were developed north of the Huapai shops and in the Trigg Road area, followed by new residential areas in Kumeu. In the 1970s, under Jim Herring’s ownership, the Huapai Tavern built a new 1,200 square foot lounge bar to accommodate its growing number of patrons.